Sarah Lash is the regional vice president of enterprise inside sales for the Americas business at Tableau Software. Tableau was recently named a Top 10 place to work by the Washington Business Journal after opening its doors in D.C. in 2015 with Sarah’s assistance. She’s been a dynamic inside sales leader for more than 10 years, specializing in working with junior talent, both new to sales and new to leadership, and helping them find their path. Prior to her tenure at Tableau, she was director of sales development for Cvent, leading a global sales associate program focusing on lead generation and front-end sales cycles. She started her career at DLT Solutions as an inside sales rep before transitioning into leadership. Fred Diamond: Tell us about your first job or two in sales. Sarah Lash: I started as a entry-level sales rep at a company called DLT Solutions, where I was focused on lead generation in the state and local and federal markets for an autodesk solution. I was looking to see how we could increase business with mostly state and local government agencies in transitioning from drawing boards to computer-assisted design software. From there, I started to work on a renewals program—maintenance renewals and how we can capitalize our momentum on upselling. Early in my career, I had the opportunity to transition into leadership at that organization, and I stayed with them for about 10 years. Fred Diamond: Very good. Tell us about what you sell today and what excites you about that. Sarah Lash: Today I’m at Tableau Software. We’re a data-analytics platform business-intelligence solution that helps people see and understand their data. What does that mean? It means that people like me, a businessperson, can take a look at the data and insights in a visual format and look and analyze my business in a way without having to ask somebody else for help with it. Fred Diamond: You’ve been in sales and now in sales leadership. Tell us about some of the lessons from your first few sales jobs. For some of the people who are on the call, DLT Solutions is a very, very successful reseller, distributor of products to the federal government, one of the most successful companies in the history of that industry. What are some of the things that you learned there that you’ve taken onto Cvent and then onto Tableau? Sarah Lash: I learned a great foundation at DLT, really around prospecting, using sales and marketing analytics to be smarter about whom you’re working with and why you’re going after them. More importantly I learned resilience. In many times over the 10 years that I was there, our government budgeting cycles and fiscal liquidity were not what it needed to be for our business. So how do you persevere and stay in that market in a changing environment with an engineering solution where state and local tax revenues are down and they can’t afford anything with construction? How do you stay positive and look for the opportunities and really dig deep to find them? Fred Diamond: How did you stay positive? What were some of the things that you learned to do? I know you as a very positive person. Tell us some of the things that you did to stay upbeat, stay positive, stay focused on the task. Sarah Lash: Ultimately it was about knowing that they weren’t saying no to me as a person; it was about understanding the challenges that they were facing and figuring out what we could do creatively to find a solution as well as knowing when to move on from a prospect quickly… I think a lot of times salespeople hold onto things a little too long because they’re close to it and it’s uncomfortable to let go, but that’s really one of the keys in staying positive. The solution is knowing that you’ve got to find the next. Fred Diamond: That’s a great point. I love what you just said: They’re not saying no to you. They’re saying no at this moment or to the opportunity or whatever the reasons might be. Many of the sales game changers we speak to had some assistance in their career from very, very impactful mentors. Why don’t you tell us a story about a mentor who has had a good impact on your career? Sarah Lash: I’ve had the opportunity to work with a lot of people in my career who have inspired and mentored me. A few who come to mind are the first general manager I worked for in a restaurant, just showing me how to be positive with a customer, knowing that there’s a lot going on in the back of the house that impacts the front without letting the customer know. Second would be my first sales leader, I would worked for him for about eight years in understanding how to forecast, what’s important in business metrics, how to communicate that to others, how to communicate up to leadership and down to your team in a positive way during times of change, and really making sure to inspire others around you. Fred Diamond: In your role here, as we’re walking around the halls of Tableau—and I’ve been here a couple of times before—do you believe that the salespeople are viewing you as a mentor? Do they come to you asking questions, and if so, what are some of the things that they’re asking you for advice on? Sarah Lash: I think there are a lot of people in the office and outside of the office who do consider me as a mentor or somebody to go to for guidance. For instance, this morning I had another manager reach out to me for assistance about how to think about remodeling a territory with the hurricane situation in Houston. We know that we want to be mindful of, obviously, people first, but understanding how that will long-term impact the business is a salesperson’s livelihood, and I appreciated that she felt comfortable coming to me with that situation. I’ve got tactical questions, I’ve got strategic questions, and really I’ve got the questions of “What do I want to do when I grow up?” coming my way. Fred Diamond: How did you answer her question? What were some of the things that you said? Sarah Lash: The first thing we talked about was making sure that everybody’s okay. Second is understanding that person’s client base and if it’s exclusive to the Houston market or if it’s spread out beyond. Then understanding how we balance both the continuity of our customers and our prospects so that they are not dealing with yet another change on top of a really challenging situation, and then ensuring that things are fair for that current rep because his livelihood is based on that as well. Fred Diamond: What are some of the major challenges that you’re dealing with here? What are some of the other things that you hear about from some of the young people you manage in the organization? Sarah Lash: It’s really around understanding what they want to do next and how we work with them to figure that out. A lot of people know that they want to do something next but maybe they’re unsure if they want to go into leadership or they want to go into more of an adoption role or they want to go into an account manager role in the field. We use their current skills and passions as well as dislikes… to help them understand what opportunities may exist either directly in front of them or coming down the line for them. Fred Diamond: You’ve had some great sales successes in your career. Why don’t you take us back to a big win or a success? Sarah Lash: Sure. This is a really specific date. June 30, 2016, was our end of Q2 last year. Having the opportunity to open the Washington, D.C. sales office for Tableau Software in November 2014, I was the first employee here. That was a big, big role, taking that through the process and understanding what success would look like. It was really the first day that we saw 100% in an office that grew in a year and a half from nothing to a pretty large group of people working together in a unified way to close out a quarter strong and have a lot of fun and success doing it. It’s one of those days that’ll just stay with me for the rest of my career. Fred Diamond: Are you a proponent of the “play hard, work hard” type of mentality? It seems like it is around here. Sarah Lash: I’m a huge proponent of the “work hard, play hard” mentality. I think what you put in is certainly what allows you to take out of that. I think there’s a really important balance of life with sales in ensuring that you’re taking care of yourself. You’re taking care of your company. You’re taking care of your clients and your employees and understanding how all of those matter to be successful in the long term. Fred Diamond: You’ve had a great career in sales. I know you still have a tremendous career ahead of you, but did you ever question being in sales? Was there ever a moment when you thought to yourself, “It’s too hard. It’s just not for me”? Sarah Lash: Absolutely. Go back to that June 30, 2016, and rewind six months prior. I seriously considered whether sales leadership was the right decision for me, whether I was in the right career. Opening a sales office is really hard, I’ve learned, and building a team from scratch at the same time is even harder. There were definitely moments of self-doubt and understanding whether I could do it and there were definitely moments of failure in the year prior to that. There were some key people at Tableau and in my life who really supported me and helped me show that I could and that I was the leader that I thought I should be. In coming out of that and understanding and looking back, it was about staying true to myself as a person and as a leader and in who I wanted to be and represent myself as. But the main takeaway was “Don’t give up.” There are going to be times that are going to be really hard. Focus on what’s important to you is how to get through that. Fred Diamond: Sarah, let’s now talk about some things that sales professionals listening in today can do to take their career to the next level as you have. What is the most important thing you would want to get across to a junior or a midlevel selling professional to help them improve their career? Sarah Lash: I think one of the things that’s really important is to be open. To be open to feedback, to be open to ideas, to be open to sharing your ideas with your peers, and most important, to be open with what that next step might be for you. Don’t be afraid to make a pivot if it makes sense. Fred Diamond: What might that look like for someone who’s at the point of their career where they’re kind of thinking about some strategies? What might a pivot look like? Would it mean moving to a different company, a different industry, moving into possibly leadership? What might that look like? Sarah Lash: All of the above. I look back at my pivot: I did 10 years in the public sector, and I have absolutely nothing to do with government sales today. That was a really scary decision but long-term it was the right one for me. Fred Diamond: What are some of the things that you do to sharpen your saw and stay fresh? You mentioned before, you questioned once or twice along the way and you got some support. Tell us some things that you do to stay at the top of your game. It’s kind of interesting because, again, as I look around there’s, what, over 100 people in this office. They’re all looking to you for leadership, a lot of pressure there. You’re working for a very high-profile company in a very fast-moving space with a lot of competitors. How do you stay fresh? How do you stay at the top of your game? How do you stay a sales game changer? Sarah Lash: I do a lot of self-education. I also have many conversations with my peers, with my leadership team, and with my team here. There are so many good ideas and insights that they bring to the table with their knowledge of social media and social selling that I’m not aware of and a tremendous amount that I can learn from them. Fred Diamond: When you talk about your peers, do you mean peers in the industry or a lot of your friends_are they sales leaders as well? Sarah Lash: More like peers in the industry. I have a decent social network of the sales leadership and people in the D.C. area that I talk with and communicate with and people like you, Fred, who make introductions for me and for others. Sarah Lash: I’m working on understanding how to better develop my people and how to better speak with them to understand what they want to do next. The organization that I’m responsible for now is an inside sales organization that partners with a field sales organization. I have a small individual contributor component to that as well. 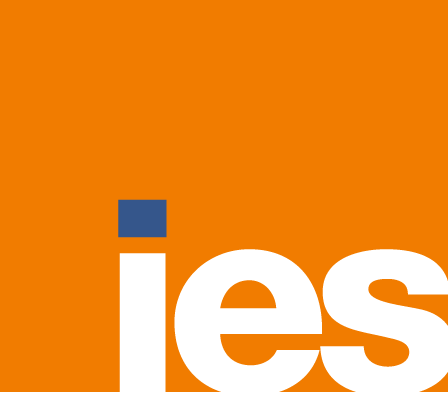 Role clarity and understanding what an inside sales person is responsible for is probably one of the biggest challenges that we face in inside sales. How do we ensure that they’re not just the field person’s admin and doing things that are natural selling activity? I’m constantly working on ensuring that they’re focusing on the right types of behaviors and how we can optimize their time and energy for them. 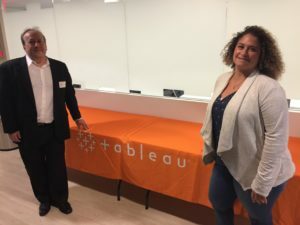 Fred Diamond: What are some of the things that you do here at Tableau? Do you have regular sessions where you impart some knowledge? Do you have open-door mentoring? What are some of the things that you all do? You guys have a tremendous reputation as being a first-class sales organization. Sarah Lash: Open-door mentoring is huge. I met with three individuals today alone on what they’re looking for next and how we can kind of optimize that for them. We also do a lot of group sharing. We had a leadership meeting today where we sat down to understand what’s important to the team, to the office, how we can bring that forward. Our sales readiness group is really well versed in specific initiatives and training and developing our organization to get us better with sales messaging acumen and handling the competition. It’s really about just staying in the forefront of who we are and making sure that we’re utilizing the best resources out there to do so. Fred Diamond: Sales is hard. You got to keep pounding away. You mentioned at the beginning of your career you had to stay on the phone and try to figure out strategies for getting to customers. People don’t return your calls. They delete your emails. Here you are as a successful sales leader with a very, very successful company. Why have you continued? What is it about sales as a career that keeps you going? Sarah Lash: Sales as a career is probably one of the more challenging ones out there, and I think a lot of people don’t accept that until they’re in it. I’ve stayed in sales because I love the thrill of the win. I’m a competitive person. I love watching that success happen, and I love feeling the energy that comes from it. I transitioned and have stayed in sales leadership because I love even more the thrill of watching other people win. I think one of the questions I get asked most is “How do I get into sales leadership?” It’s really about understanding why: if the thing you’re most passionate about is helping and seeing others around you be more successful, if that is what really gets you going. That’s truly the answer. Sarah Lash: I love watching that first person out of college making their first sales call and thinking “Oh my God, how am I going to pick up the phone and call a stranger?” and them doing it and being successful with it, all the way to watching one of your reps close a million-dollar deal that’s the biggest that the team’s done and how the team comes together to embrace and celebrate as one. Really all of the above. There are so many different wins that we can define, and I think it’s important in sales to stay strong by defining wins not just as closed business but by getting that critical appointment, by getting that introduction to the person you’ve been striving for, by having a great on-site, and seeing all that because all those little wins is what leads up to the big one. Fred Diamond: I have one last question before we ask you for your final thoughts. You manage a lot of millennials, a lot of young professionals. What’s the secret to keeping them motivated? What is the secret sauce to ensure that they get as productive as they could possibly be and as successful as they could possibly be? Sarah Lash: Showing them who you are as a person, showing them that you’re just like them. It’s really fun to manage millennials. It can be challenging at times. Communicating and talking to them about why and what’s important and what’s important to them, and tying that together, putting that extra effort in, and not just telling somebody what to do yields returns so much greater than you could imagine. Fred Diamond: Sarah, give us one final thought, one final nugget to inspire the listeners today. Sarah Lash: Make sure you’re having a blast doing what you do. I can honestly say being in sales brings a smile to my face. Coming in to Tableau every day and being a part of an organization that cares to this level about their people and their clients is really what makes it worth it. At the end of the day, just be all in.